Plenitude of Oregon bud: Too much of a good thing? When Oregon lawmakers created the state’s legal marijuana program, one of their goals was to convince illicit pot growers to leave the black market. Oregon regulators announced they would stop processing new applications for marijuana licenses in June to address a severe backlog and ask state lawmakers to take up the issue next year. Oregon has nearly 1 million pounds (453,600 kilograms) of cannabis bud in its inventory, a staggering amount for a state with about 4 million people. Producers told The Associated Press wholesale prices fell more than 50 percent in the past year; a study by the state’s Office of Economic Analysis found the retail cost of a gram of marijuana fell from $14 in 2015 to $7 in 2017. Some Southern Oregon dispensaries have advertised bud as low as $2 a gram. Oregon’s Liquor Control Commission said it would put aside applications for new licenses received after June 15 until a backlog of pending applications is cleared. The decision came after U.S. Attorney Billy Williams challenged state officials to address the oversupply. The state had granted 1,001 producer licenses and had another 950 in process when OLCC made its decision to put a hold on new licenses. State officials worry if they cut off licensing or turn away those already in the application process, they’ll get sued or encourage illegal trade. Rules now in effect there cap only certain medium-sized growing licenses. In some cases, companies acquired dozens of growing licenses, which can be operated on the same or adjoining parcels. 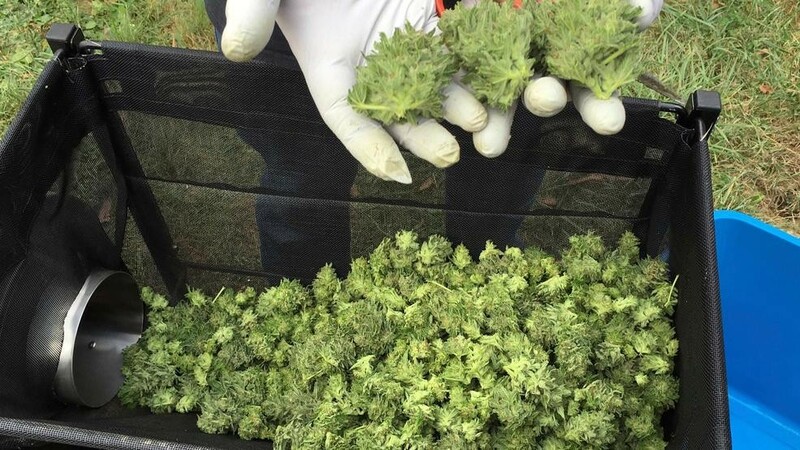 The California Growers Association, an advocacy group, is suing to block those rules, fearing they will open the way for vast farms that will drive out smaller cultivators. Flaccus is a member of the AP’s marijuana beat team. Follow her on Twitter at https://twitter.com/gflaccus. Follow complete AP marijuana coverage: https://apnews.com/tag/LegalMarijuana. Associated Press writers Gene Johnson in Seattle, Michael R. Blood in Los Angeles and Kathleen Foody in Denver contributed to this report.